The brand new awesome cover! The Vampire Victim Support Group is one of those projects that kinda snuck up on me, tempted me down an alleyway, then ran off with my keys. I hadn’t intended to dedicate any real time to it. It was supposed to be one of those background things that I poked at when I needed a mental break from whatever I was really working on. It lurked at the bottom of my to-do list and seemed quite happy slumbering there. Then I got to playing with Inkspired and decided to toss the first vignette up there (Jaime’s story). I had another couple of pieces in the series in various stages of completion, and it didn’t take much more work to get a second one ready to post for everyone to see (Niamh’s story). Then I got a little excited, chatted with the lovely artist Svenja Gosen*, and commissioned a cover for it. Doesn’t it look awesome? I know I love it. I planned out the VVSG members and their stories sometime in the last year (I’m not sure when, but it was after I bought my current laptop). I knew I wanted each one to be very distinct, each person very different. As much as it might be reasonable to have multiple survivors of the same vampire attack, I really wanted a diverse set of stories to play with. Diversity is a theme that I took into the scheming part of this story pretty heavily. It wasn’t just different vampire attacks: I wanted different ages, genders, and backgrounds. Different voices. Different reasons for encountering a vampire, and different reactions to the situation. Because people are fascinating and there’s nothing more boring than having a group of people sit and nod and agree with each other on every point. Even if they all agree that vampires are nasty, vicious beasts (and I’m not saying they will), they’ll each agree for their own reasons. That’s what interests me, as a writer. I also love writing about people on the periphery of the big stuff. Those who are touched by something as big and life-changing as the existence of vampires, but who would be side-characters or throwaway cutouts in the story of good vs evil, heroes vs villains. These victims don’t throw punches. They don’t saddle up and go vampire-hunting, armed with all the pop culture lore they can make into hopeful weapons. These are the ones who are hurt and traumatised and bewildered; the people who the heroes step over on their way to punching the Big Bad in the fangy face. These people are just trying to figure out how to deal with this new element to their lives. These are the ones trying to fit this awful thing into their otherwise normal lives. These are the sorts of people who would start and attend a Support Group as a way to figure out how to get past it. I’m interested in seeing if I can write all these different voices. Most of them I haven’t tried before, not in a viewpoint character. Part of my reason for building this project was to stretch myself as a writer, and as I get into the pieces, wow, is it doing that. I’ve currently got three different members’ stories in various stages of drafting. One wandered off on a tangent that is both exciting but not really what I intended it to be, and needs to be pulled back on track. One is from a very different POV than I normally write and is proving to be a bit of a challenge. I think I’m struggling to find his voice. The third is going well and almost done, I think! But again, it’s a different voice and I’m not sure how well I’m pulling it off. I’ve sought a second opinion on that one, but I’m still nervous about it. It’s fun and I’m enjoying the exercise it’s giving me. There are nine characters in all, and I think each one will have two phases to their story, so it’s going to be fun to get through it all! In one way, I think I started posting it a little early. 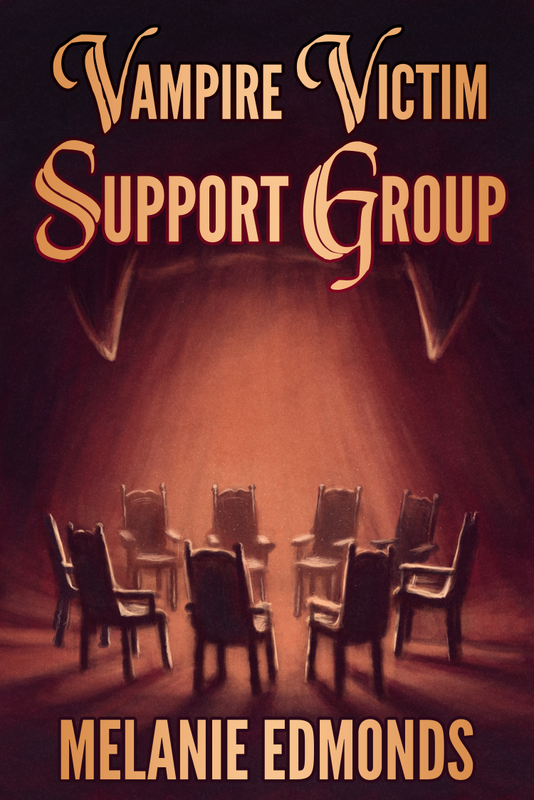 I was originally going to frame the vignettes with glimpses of the support group meeting itself, and I’d still like to do that, but I don’t want to write that until I have all the characters fully fleshed-out in my head and I had all the pieces I wanted to put together. 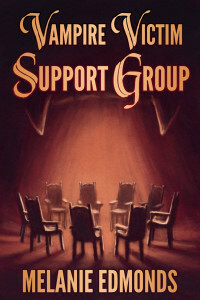 The frame of the support group was supposed to tie the stories together. Now, I’m thinking that I’ll save that part for the ebook version. The plan is to keep posting this story up on Inkspired, build up the full complement of group members, their stories, and a picture of a city’s undead underbelly from the perspective of those who skate close to it but don’t quite fall. After all, they weren’t killed outright, right? The fun continues. I’m looking forward to getting this next piece finished and posted (it’s due up very soon!). I’ve signed up to post one a month – I think I can stick to that. Fingers crossed! * Svenja is also responsible for my Starwalker art, and the soon-to-be released new covers for The Apocalypse Blog books. Anything about the voice that alludes that we might be able to help with? So, from Iraq? How far back? Wealthy family that grew up speaking several languages and traveled for education (pretty common among Iraqi Upper Crust over the last couple decades) or refugee? What kind of people does he hang out with? What kind of movies does he like? A lot of those things effect the way we talk quite a bit. One of the characters from my webcomic is Indian, who moved to Canada with his family when he was a kid. So he mostly speaks with a Canadian accent, and is heavily into 70’s and 80’s rock, so he often uses song lyrics as responses, to try and sound cryptic. its amazing the way the LITTLE things about them can influence how they talk. All very good questions, Alex! He’s definitely not from the Upper Crust (money is an issue). I’m not sure about refugee. I’ll give it some more thought. Thanks! I enjoyed them. I can see Jaime being willing to attend the support group. I can see Naimh slowly coming to the point where she feels like attending. Something pretty dramatic needs to happen to persuade Jerihco to want to attend (unless he’s attending out of morbid curiousity). Yeah, I’m planning for the ‘frame’ parts to help explain why each person chose to be there. Though that will also be explained in their second pieces, no doubt (part 2 of their personal stories).